Long-term memory may get all the glory, but knowledge retention and information recall wouldn’t be possible without the aid of its more temporary counterpart. 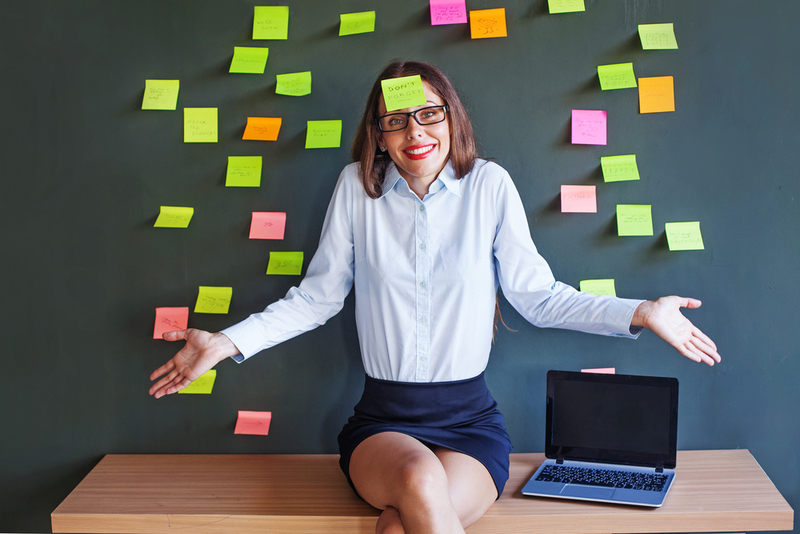 In this article, I’ll discuss the basics of the short-term memory and I’ll highlight 5 strategies that eLearning professionals may follow in order to enhance short-term memory and, thus, to increase the effectiveness of eLearning deliverables. An eLearning course cannot be truly successful unless it is memorable. Learners must be able to not only complete the eLearning course, but also to recall that information when they need it. To do this, they must first store it in their short term memory banks. But how can eLearning professionals use short term memory when developing and designing eLearning courses? In this article, I’ll discuss the basic principles of short-term memory and I’ll share some tips to help you take advantage of the cognitive processes involved in short-term memory, in order to create eLearning deliverables that really enhance learning. Short-term memory is, in essence, the gateway to long-term information storage. When we learn new information or acquire new memories, these are first stored in our short-term memory before making their way to the long-term memory. Information that is not reinforced or not worthy of being tucked away for later use is discarded to make room for new concepts and ideas. Short-term memory is very frequently confused with working memory and many times these two terms are erroneously used interchangeably. Compared to short-term memory, that is just the temporary storage area, working memory is the mechanism that takes place within the short-term memory that manipulates incoming information and “decides” whether it is significant enough to get transferred into the long-term memory, or simply not useful enough and should be discarded. In other words, while short-term memory can be viewed as a temporary storage of information, it doesn’t entail its manipulation or organization; this is what working memory is responsible for. Learning actually takes place only when information is transferred into the long-term memory, and therefore can be retrieved again for future use. Storing information in the long-term memory is created by a conscious effort on behalf of the learners. The aim of eLearning professionals should be both to understand what exactly happens within the short-term memory in order to facilitate knowledge transfer, as well as to provide learners with the proper intrinsic incentives in order to motivate them to get more involved in the learning process. According to Miller's Magical Number Seven (1956), the short term memory has a limited capacity, being able to store 5 to 9 items simultaneously. Miller believed that our short term memory is not capable of handling more than 7±2 pieces of information before all of its “slots” are full. When this occurs we begin to experience cognitive overload, at which time we are no longer able to effectively acquire or retain information. As its name implies, short-term memory keeps data for a short period of time, about 20 seconds. After that, unless we make a conscious effort to retain the information just stored there, it disappears forever. Information comes to our short-term memory through our senses. Encoding is referring to the way information is “registered” in the short-term memory. There is evidence that, for the majority of learners, encoding seems to occur as an auditory process, as the most frequently used strategy people employ in order to retain new information seems to be by mentally repeating it over and over. Another strategy some learners employ is visualizing the mental representation of the information stored. It is, therefore, not infrequent when talking about short-term memory to come across various terms such as acoustic or iconic memory, to refer to the mental strategy employed during the encoding process, depending on the strategy individuals tend to use for keeping new information in the short-term memory longer. To sum up, iconic memory is the human ability to hold visual information, like images or pictures in short-term memory, though acoustic memory is the ability to retain auditory information in short-term memory. Acoustic memory has been found to have bigger capacity than iconic memory, meaning that sounds can he held longer than visuals. Chunk information to reduce cognitive overload. Information chunking, that is grouping of related information together, has been proved an effective strategy in order to prevent cognitive overwhelm. Given Miller's 7±2 principle described above, by chunking similar concepts or ideas together, we may be able to place more information in each memory “slot”, thereby expanding the capacity of the short-term memory of our learners. Use auditory stimuli to improve knowledge retention and recall. As mentioned earlier, the short-term memory thrives on auditory stimuli. According to Atkinson and Shiffrin (1971), our short-term memory can hold information anywhere between 15 to 30 seconds. However, if we hear concepts or ideas repeatedly in audio form we can acoustically encode the information, a process referred to as "rehearsal", thereby committing it to our long-term memories. Believe it or not, our short-term memory even transforms visual data into sounds to memorize it more efficiently. When creating your eLearning course include audio presentations, narratives and music to boost knowledge retention and information recall. Encourage learners to apply previously learned concepts. When we encourage our learners to apply information they have already learned, this gives them the opportunity to decrease the amount of knowledge decay. The old adage “if you don’t use it you lose it” aptly applies to the short-term memory. When we don’t give learners a chance to rehearse and repeat information they have gathered, they will begin to forget key concepts within a matter of seconds. Scenarios, simulations, and end-of-chapter assessments are all exercises that involve information recall. Interestingly, our short-term memory is actually able to remember items at the beginning and at the end of a lesson more effectively than those in the middle. This is known as the serial position curve, which is comprised of two tendencies: primacy and recency. Primacy suggests that concepts in the beginning of a lesson can be more easily remembered because, as they are learned first, the short-term memory has the most time to absorb them. Recency refers to the other end of the spectrum, dictating that the concepts at the end of the lesson are stored in the short-term memory because no other concepts were learned after them. There were no additional items to serve as a distraction, so your mind could easily absorb them. You can take advantage of the serial position curve by placing important ideas or key takeaways near the beginning and the end of your eLearning unit. For example, you can highlight the most important concepts on the first page, and then review them again on the last. Grab their attention with stories and scenarios. Learners can more effectively memorize new information if it is somehow connected to real world challenges or situations. You can help to improve knowledge retention by offering them simulations, scenarios, or stories that tie into relevant and relatable issues or tasks they may encounter on a daily basis. This not only shows them the benefits of learning the information, but also directs their attention to the key points of the eLearing course. Thus, they will be less likely to forget the subject matter if they have formed a connection with it during the learning process. Short-term memory is the gateway to long-term knowledge retention. Designing eLearning courses that cater to the short-term memory can give your learners the opportunity to remember the key takeaways in their short run, so that they can put them to good use in the long run. What is the learning curve and how can you use it to design memorable and engaging eLearning courses? Read the article The Forgetting Curve in eLearning: What eLearning Professionals Should Know to discover everything you need to know about the forgetting curve in eLearning, so that your learners will always come away with the knowledge and skill sets they need to achieve their goals. Looking for more scientifically proven brain facts to take into consideration before creating your next eLearning course? Read the article 6 Scientifically Proven Brain Facts That eLearning Professionals Should Know and keep these interesting brain facts on hand to develop eLearning courses that offer the most value and benefit to your learners. Atkinson, R. C., & Shiffrin, R. M. (1971). The control processes of short-term memory. Institute for Mathematical Studies in the Social Sciences, Stanford University.